Rite-ON to expose Hostile Preferencing by Conservative Parties - Rite-ON! After you have selected your First Choice , Who Cares? We care, and you should too. In the last Federal Election only 32% of candidates got elected on primary votes. Preferences mattered in 68% of seats then, even more this time. In marginal seats preferences always determine the outcome. Minor Conservative parties are mostly supported by voters who are disillusioned with the major Conservative parties. 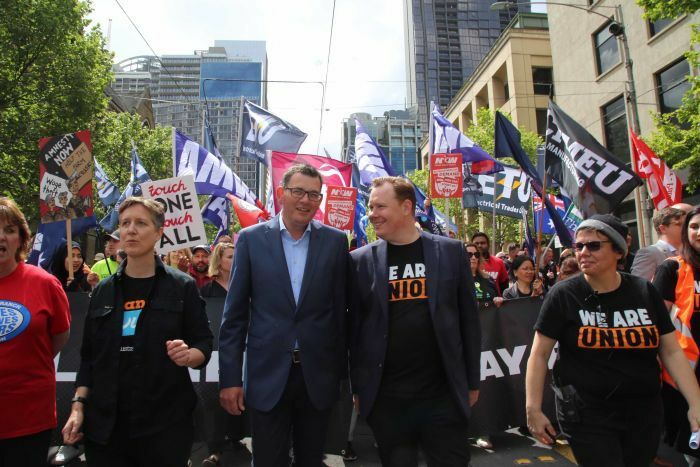 For various reasons of competition or payback, squabbling breaks out amongst the Conservatives and they spend more time attacking each other than their true foes, Labor and The Greens. When they carry this hostility to their ‘how to vote’ cards and preference Labor above other Conservatives, they have turned hostile to all of us. The line up of parties on the conservative side of government is growing…………..
Do the Socialists have this Problem? They have their arguments behind closed doors and come out hugging each other as ‘buddies’. 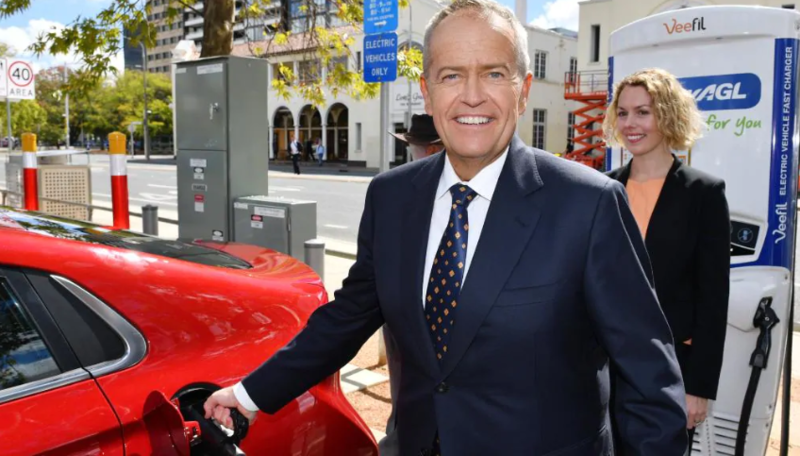 Labor regularly adopts whacky Green policies in return for preference support. Voters who put a minor party first will, disappointingly for them, almost always finish up with a Labor or Coalition MP. 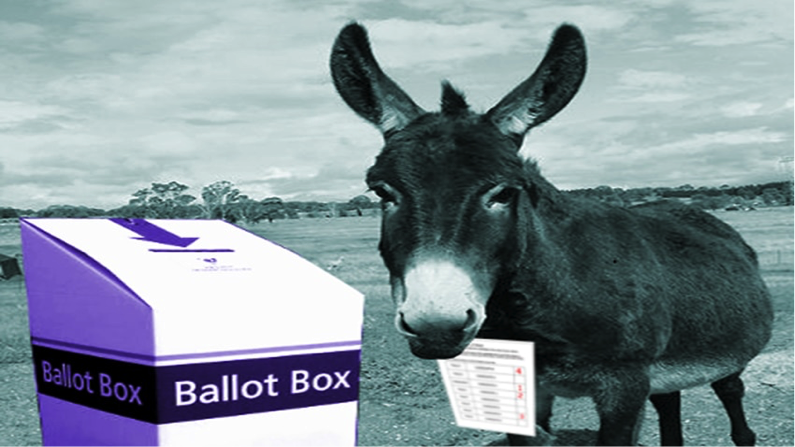 Most electorates are effectively a two-horse race, but it is preferences that determine which horse wins. A ‘hostile’ How to Vote Card? Surely not! In a perfect world, conservative voters will preference other conservatives ensuring Labor and Greens are last and second last. 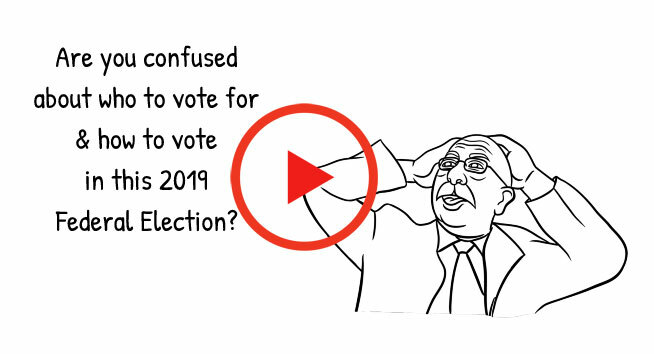 Many voters rely on the advice on the party card. They expect their party to ‘do the right thing’, their cards, however, may place Labor above Coalition candidates. When this happens, voters have been duped into hostile preferencing. Can Hostile Preferencing change Outcomes? In the 2017 Queensland State Election it was hostile preferencing amongst the Conservatives that almost certainly delivered a majority Labor government. Queenslanders are still paying the price for this madness. In summary, One Nation put Labor ahead of the LNP in 24 out of 28 sitting LNP seats, and One Nation preferences were distributed in 20 of these and flowed strongly to Labor. This had a considerable contribution to the election result and subsequent Labor win. Rite-ON did intervene in 2 of these seats handing out ‘how-to-vote’ cards to put Labor last, pushing the LNP candidates over the line. Conversely, the LNP put Labor ahead of One Nation in only 8 out of 61 seats that One Nation contested, and LNP preferences were only distributed in 2 (Thuringowa & Logan). This made no difference to the election result. This is history. We hope that lessons were learned, but we expect otherwise. Is there a difference between Big Party or Small Party Preferences? Yes, as seen in the previous Qld 2017 election example. 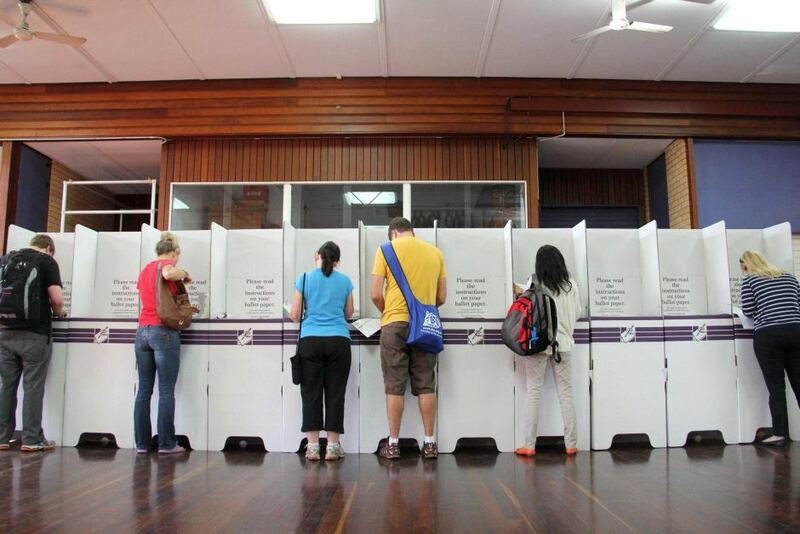 Small Parties like One Nation are generally eliminated early in the count. Their preferences then flow to other candidates. So, it is preferences from the minors that elect candidates and even governments. 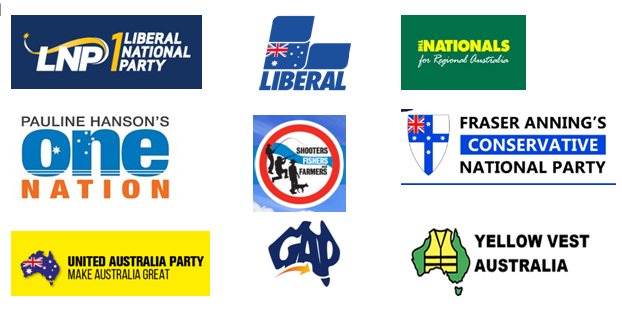 Big Parties: Recently Scott Morrison committed to ‘putting One Nation last’. Liberal preferences, however, seldom flow, as they are generally one of the two remaining parties in the count. In fact, in the last 2016 Federal Election in only 6 out of 150 seats did Liberal preferences came into play! Morrison’s decision is about window dressing for inner city swinging voters after pressure from Labor. His statement could cause small parties to seek revenge. Shame he did not demand Labor put Greens after the Libs. Emotion Rules, so should preferences be used to get back at another party? 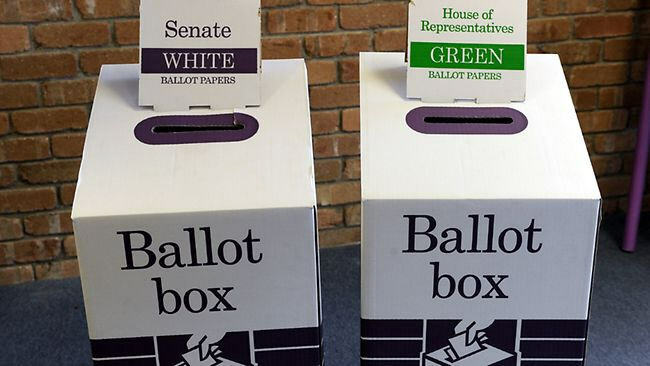 Australian voters should not have to live with Labor and their un-costed and virtue-signalling policies just to satisfy some petty revenge, while the hostile offenders refuse to take responsibility. Advise every Conservative party to ‘do the right thing’ by putting Labor and the Greens last. Lack of a ‘deal’ is no excuse. Threaten party leaders with naming and shaming of their candidate and party. Combat hostile cards. To include convincing booth workers to refuse to hand out cards and/or replace them with ‘friendly’ Rite-ON cards. Grass-up your hostile candidate. Dob them into Rite-ON! We will black-list them. Never forget – you OWN your preferences, NOT a political party, make the preferences YOUR choice, and the Rite choice! previous post: Which PM will YOU or your candidate choose?